This article suggests that the population is roughly divided between individuals primarily oriented toward absolute gains and losses, and those oriented toward relative gains and losses. That is, some people consistently care more about the absolute size of the pie slice they are eating, and others care more about how their percentage of the pie stacks up against their peers’ portions. This article examines how property law deals with that heterogeneity in relative and absolute preferences. It focuses initially on inheritance law, particularly cases in which a decedent with living children has adopted her grandchild or someone else within the bloodstream, engendering results that might be acceptable to an heir with absolute preferences but unacceptable to an heir with relative preferences. The article then shows how similar controversies play out in takings law and the law of easements. 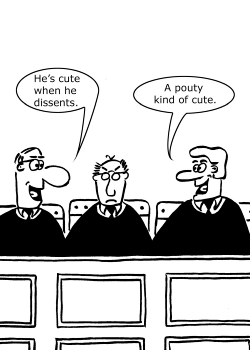 In many of these cases vehement disagreements between majority opinions and dissents can be understood as clashes between jurists who are focused on absolute resources and those who are focused on relative resources. The article then hypothesizes that some relatively low-stakes disputes explode into contentious lawsuits precisely because a landowner oriented towards absolute gains and losses is incapable of understanding a conflict from the perspective of his neighbor, for whom relative preferences are decisive. The article concludes by referencing examples from takings law and the law of waste, in which divergent assumptions about the prevalence of relative and absolute preferences render property doctrines ambiguous, tenuous, or incoherent. In addition to being an important piece on property theory generally, Prof. Strahilevitz specifically examines the land use topics of takings and easements. I think this analysis could also be extended to the debate over housing and urban form. A must-read. Enforceability of exacted conservation easements is uncertain. Legislators, activists, and academics did not contemplate the proliferation of exacted conservation easements when enacting, advocating for, and writing about state conservation easement statutes. Despite this early oversight, exaction has become one of the most common ways that conservation easements come into being. Enforceability of exacted conservation easements is a threshold question of analysis for the continued use of the tool. Assessing the validity, and thus legal enforceability, of the exacted conservation easements involves examining the state’s conservation-easement statutes and state servitude law as well as the underlying permit scheme. This article presents a roadmap for investigating the enforceability of exacted conservation easements and makes three suggestions for improvement. First, states should address exaction in their state conservation-easement acts. Second, drafters should increase the precision and detail of the agreements, acknowledging and explaining the nature of the exaction and the underlying permitting law. Third, to clarify the elements and uses of exacted conservation easements to both agencies and citizens, government agencies that use exacted conservation easements should promulgate regulations related to their use. Such regulations should include ensuring that permit issuers retain third-party right of enforcements. This will keep the permitting agency involved even if it is not the holder of the exacted conservation easement. Uncertainty in enforceability of exacted conservation easements calls into question their use as a method of land conservation. Furthermore, the questionable validity of exacted conservation easements indicates that the permits relying upon such exactions could be ill advised and potentially in jeopardy. This accessible piece builds on some of the concerns outlined in her recent Vermont Law Review piece, The Enforceability of Exacted Conservation Easements. This piece adds to Jessica's series of articles that explore the limits of conservation easements from an environmental perspective.